Last week was a week for TV presenter MC Kats and former girlfriend and Singer Fille Mutoni when the dominated the media and social media after their bitter divorce. The two fall out after rumors that the popular MC Kats had moved on with another mysterious woman. Kats later on attacked Fille live on stage during her performance, grabbed the microphone and chased the Love again singer from stage. 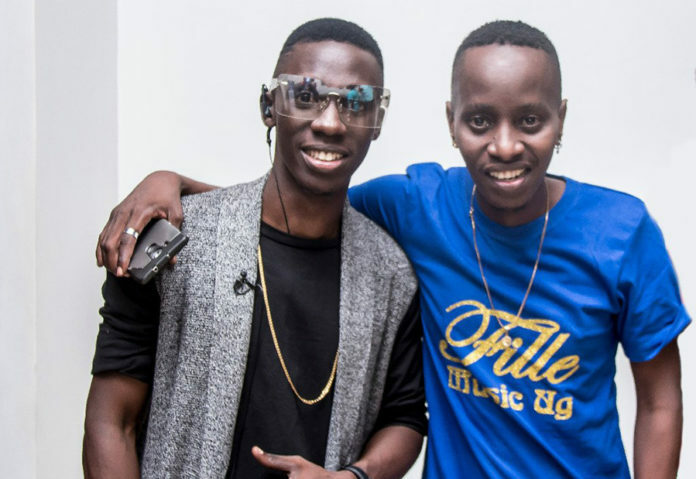 A lot was heard from different corners, but we choose to bring back Douglas Lwanga’s piece of advice to his friend and workmate together they host NBS After 5 show. You know we had to meet several times and talk about this but somehow all meetings failed. I know you’re such a determined soul and once you put ur mind to something you go for it. I am not as close to you as I am to Mc Kats but at least I am not here to judge you or Back up my bro. Am only here to say we can have a better way to solve this. People fall in and out of love on a daily so it’s not new. I have interacted with Kats on a daily i know he has failed you many times but you too have failed him many times. If its soccer it’s a draw. Let’s all get that quiet time and remember the sacrifices that took to build that brand and the happy moments you two shared. Unless you say there was no impact he had in your life but i know you have confessed he has been instrumental to your career. Fille had sleepless nights in studio making music while Kats spent equally more sleepless nights in bars not hosting events but rather promoting Fille music and making sure she gets airplay. One would think because Kats is an Mc it was automatic the music had to play but NO the industry doesn’t work like that’ you have to kiss peoples feet to get to the Top and Kats did that. That effort is worth much more than money, he needed love in exchange. Every friend of Kats wants the best for him and we also want the best for you Fille. You may seem happy right now but am sure there times you sit and think about the father of your child and whatever memories you too shared. Am not saying for both of you to get back together but rather for you to have just one more conversation. People always move on but Question is how. Kats can still pick up himself but he won’t let another man disrespect all his years efforts. He is a very stubborn human being. I know you know him so well. I also know you have a stubborn determined side on you. You know i have reached out to you since. We failed to meet. The things going on are no longer funny anymore. No one can calm this situation except you and Kats alone. You both deserve peace. Singing about these things makes the situation much worse. I wish you well but asking lets all calm down our egos before it gets to a worse situation we all will regret. Just know Kats only wishes well, the world might judge him right now for the decisions he takes but he wishes well. Fille come settle things bambi so we can have this brother Back in one piece. Tukwegayilide. I LOVE YOU BOTH.